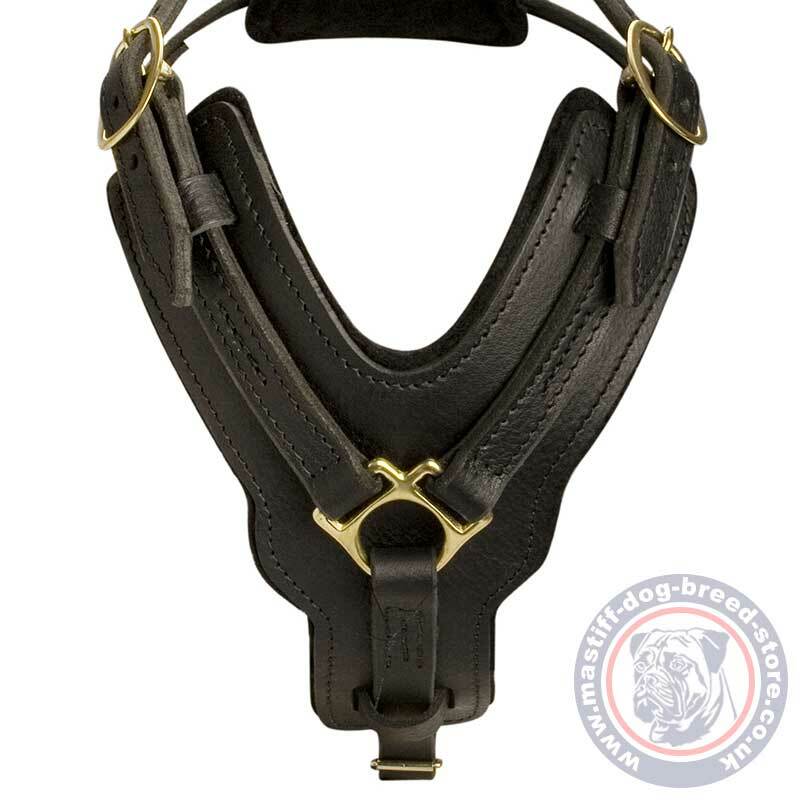 Choose a large leather dog harness with soft felt lining. Sizes: M-XL. Colors: black, brown. 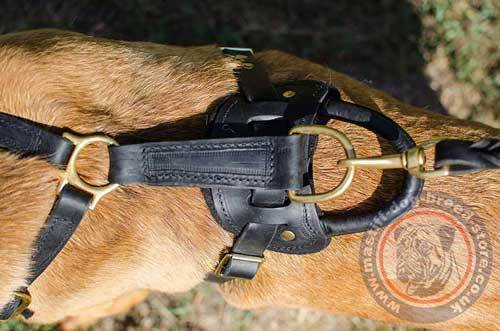 We propose a super comfortable leather dog harness, especially designed for large dog breeds. 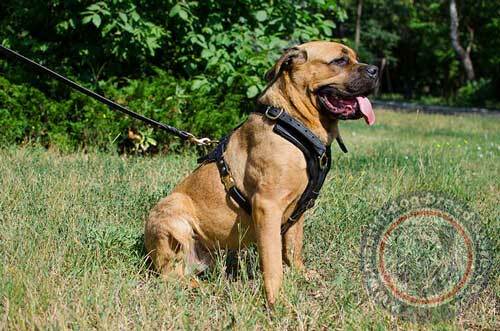 Cane Corso harness is one of the most favorite dog accessories of our customers for many years. We get many pleased feedbacks from dog owners of big dog breeds and will be glad if you try this padded dog harness for your Cane Corso too. Padded dog harness is made of thick genuine leather. 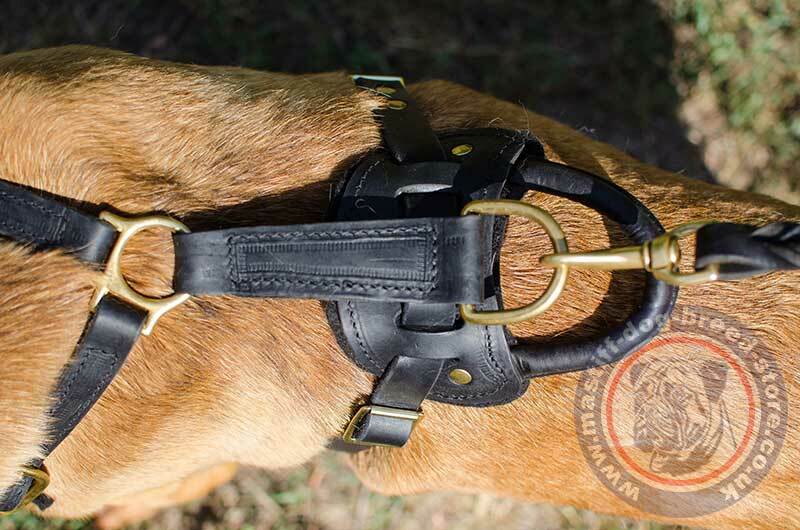 It is a handmade luxury dog accessory, created for long-term, durable practice. Padded dog harness is comfortable for many dog activities, such as dog sport, service, dog training, dog walking and when you need to control your dog with comfort. This Cane Corso harness has strong, quality, solid brass hardware. The front Y-shaped chest plate protects dog's chest from rubbing and hurts in training. The side traps are regulated. 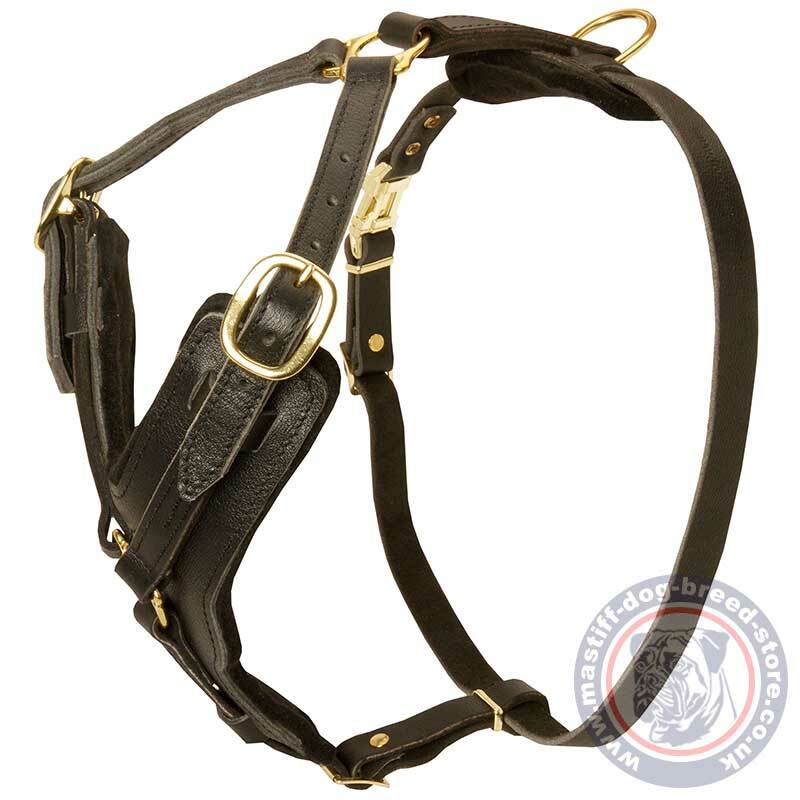 There is a side quick-release buckle to easy take this harness on and off. 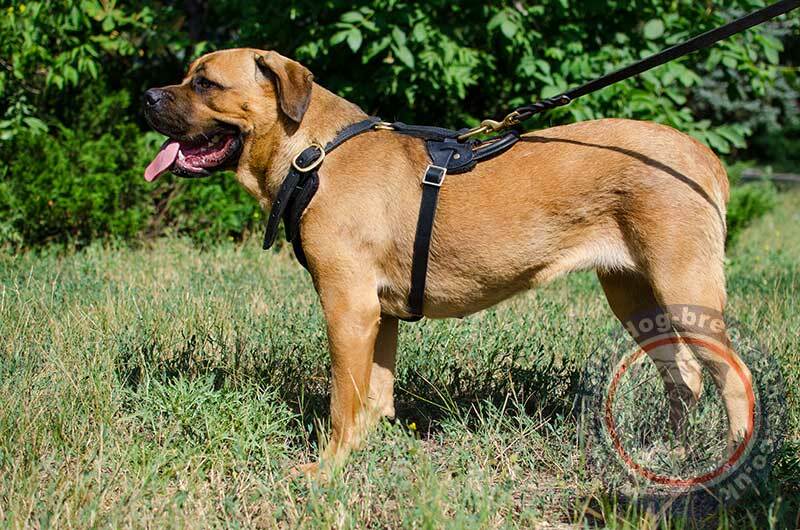 You need a really quality gear to handle a strong Cane Corso. This large dog harness is intended especially for the needs of a mastiff owner. 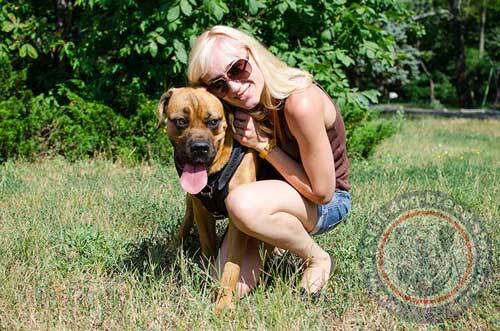 Our best dog harness is super strong and comfortable! Dog trainers and owners use it for dog training in attack, agitation and for reliable control over a strong dog in daily walking. Elegant design of this padded dog harness will make your Cane Corso look gorgeous!